There were many ways of not burdening one’s conscience, of shunning responsibility, looking away, keeping silent. 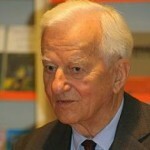 Richard Karl Freiherr von Weizsäcker listen, known as Richard von Weizsäcker, is a German politician. He served as Governing Mayor of West Berlin from 1981 to 1984, and as President of the Federal Republic of Germany from 1984 to 1994.